Step #1: Do a Google image search for the state/country outline you need. Once you find one you like, download and save it. 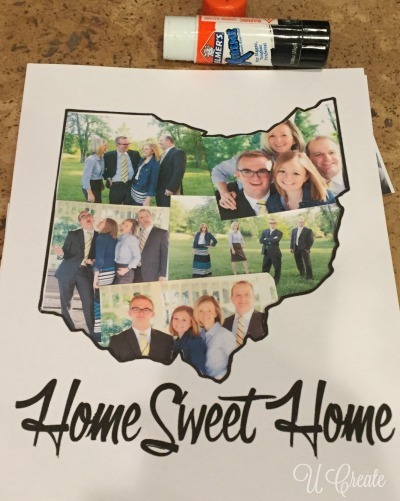 I used PicMonkey to edit the outline and added “Home Sweet Home” to the bottom. 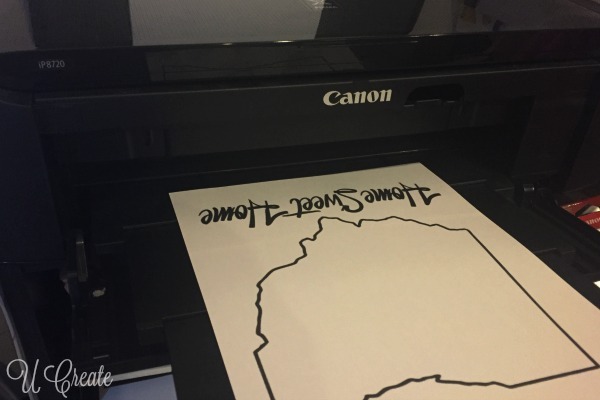 Then printed it on 8×10 cardstock. 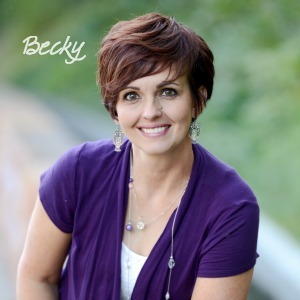 Step #2: I found their most recent family photos on Facebook and printed 5 wallet sized pictures on white cardstock. (Thank you, social media.) 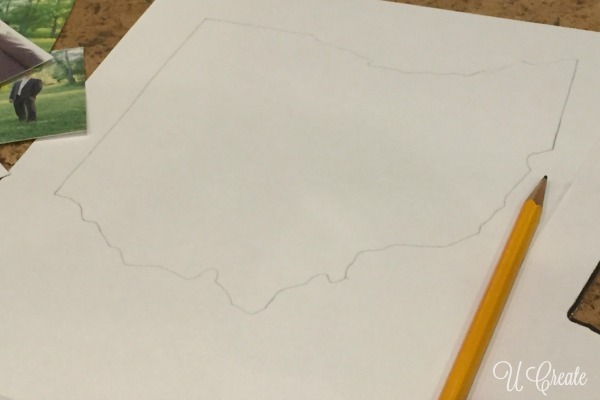 Step #3: Using an X-acto knife I cut out Ohio inside the black outline. Step #4: Using the pencil, outline the cut out on the last piece of white cardstock. This is so you know roughly where to put the pictures. 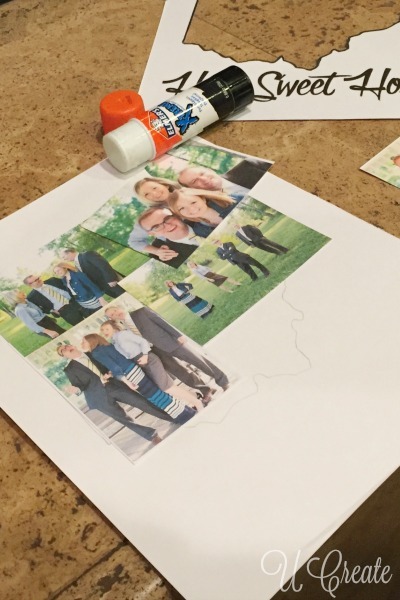 Step #5: Glue the pictures into place. Constantly lay the state cutout over the top to make sure you aren’t covering cute little faces and important background. 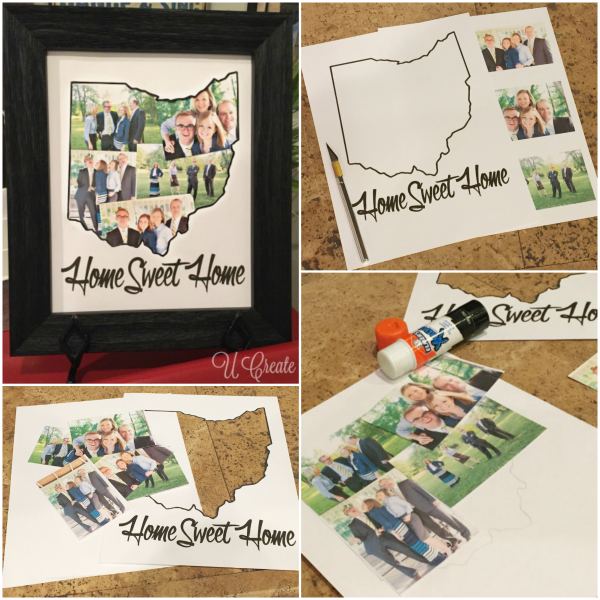 Step #6: Once you have the pictures where you want them, glue the Home Sweet Home print out to the top of the collage. 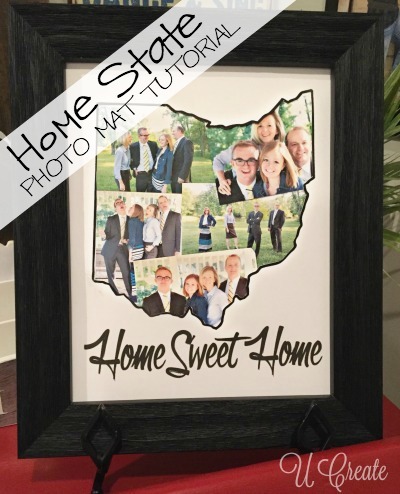 Step #7: Frame it and display! 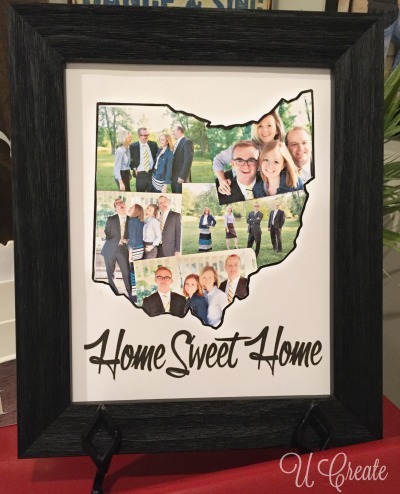 This is such a great way to display a number of pictures and create a great conversation piece for your home. 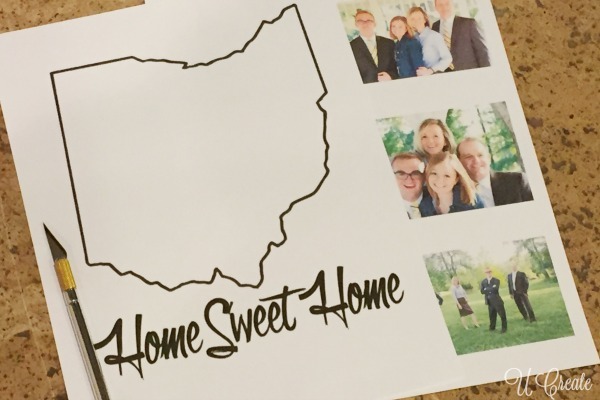 Also the Home State Photo Mat is a perfect housewarming gift or going away gift for a special family or person. What a sweet, meaningful gift. The recipients are going to love it! Super cute!!! my kiddos were born in two different states, and my husband and i the same state. I did a string art silhouette of GA for my daughter, and a painting of the CO state sign for my son, and a map of Illinois for my husband and i. I display them all on a shelf in the entry of our home. 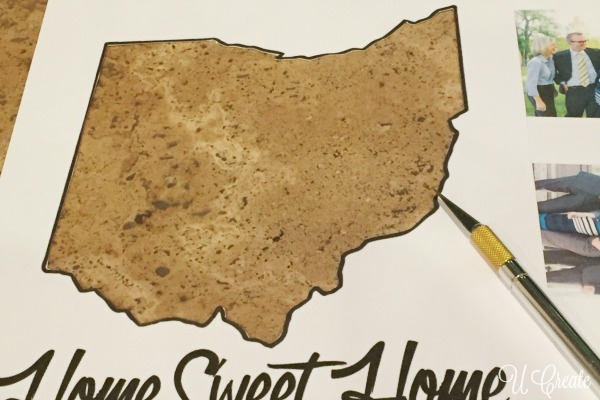 I love the state/home signs so personal and really cool ideas.